Breakfast starts at 7AM, with a hot meal prepared by the two chefs on site. 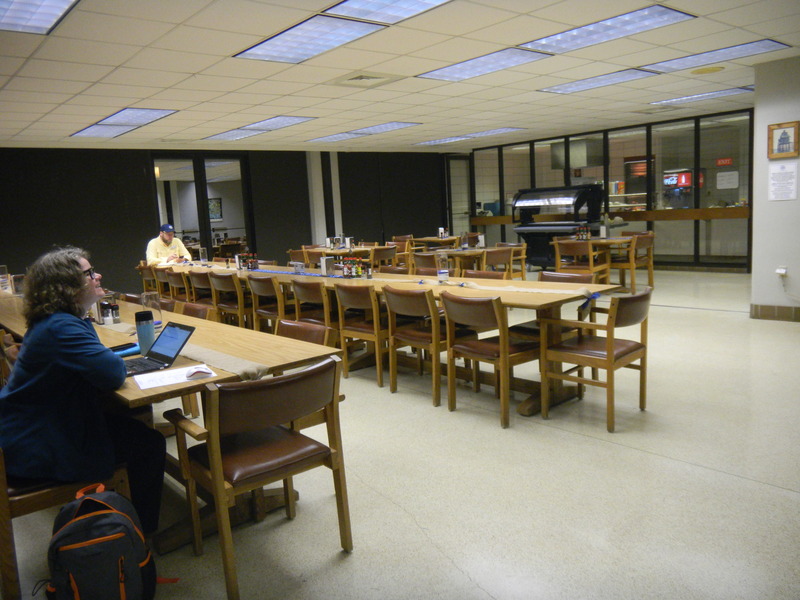 There’s no Starbucks on site or even one in driving distance from the marine science station (and students, remember – there’s no Wawa in Louisiana, either!). But there was coffee and many happy people that had a good meal to start off our day. Dr. Reed shared her point of view as to why people live here – it is relatively flat, fertile land with a freshwater supply and natural resources, access to trade routes by land and water, and a desirable location with recreational opportunities. Reasons of natural interest might include energy, trade, and culture, but the locals find it a location for family, history, and recreation. Some families have been here their entire lives, and for generations. Yet the local people are now losing their land and feel powerless to do something about it (this piece of the story gets lost when people talk about the coast). Next up was Dr. Melissa Baustian from The Water Institute of the Gulf. She shared some scientific background on the habitats in the region (swamps, marshes, mangroves, open water, barrier islands, and coastal ocean). I teach about these habitats, so I was familiar with her information. 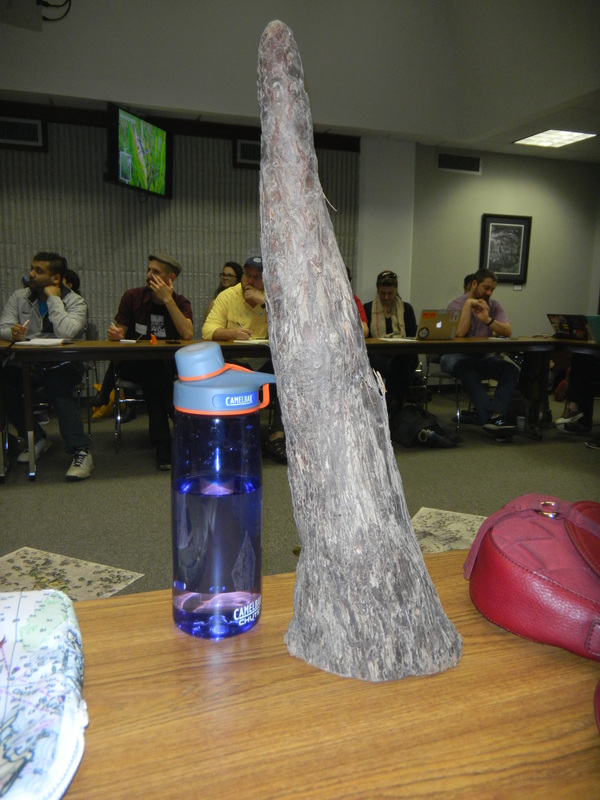 She passed around some excellent visual aids, including this great Bald Cypress knee – which no one really seems to know the purpose for! (either stability or aeration – or both!). What I was most interested in is the data they have online from their collection of data monitoring stations – I need to spend some time on the website for the Coastwide Referencing Monitoring System. I’m still not sure what I’ll be focusing on for my project, but I’m sure this afternoon’s fieldtrip will be helpful for deciding! I’m off to the salt marsh!